The tantalising closing chapter of the Lightbringer series by Brent Weeks is on its way to the hearts of its avid readers. Titled The Blood Mirror, this fourth book in the series ties all loose ends in the story of Gavin Guile, who is now Emperor. The cover is in reddish hue, which features the main character in its smallest scale ever... It just means that the scope of the story gets bigger and bigger, seemingly making him a minute stain in the foreground. Check out the bright cover of The Blood Mirror by Brent Weeks. The nail-biting conclusion to the Lightbringer series from New York Times bestseller Brent Weeks. 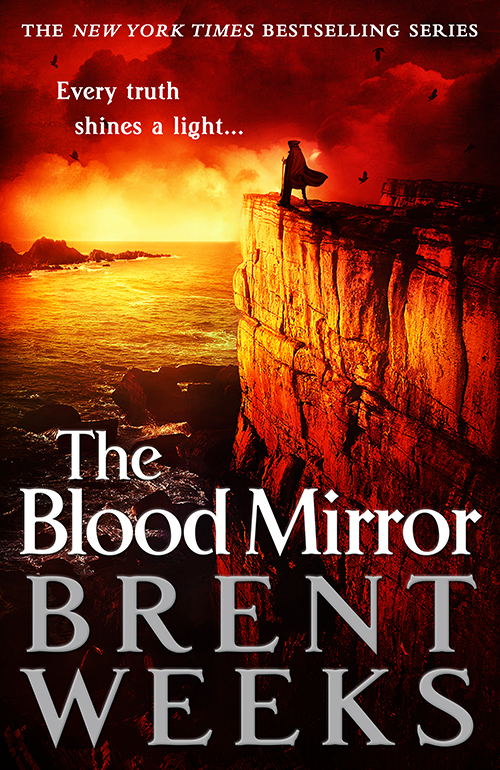 The Blood Mirror by Brent Weeks will hit book stores on November 15, 2016.